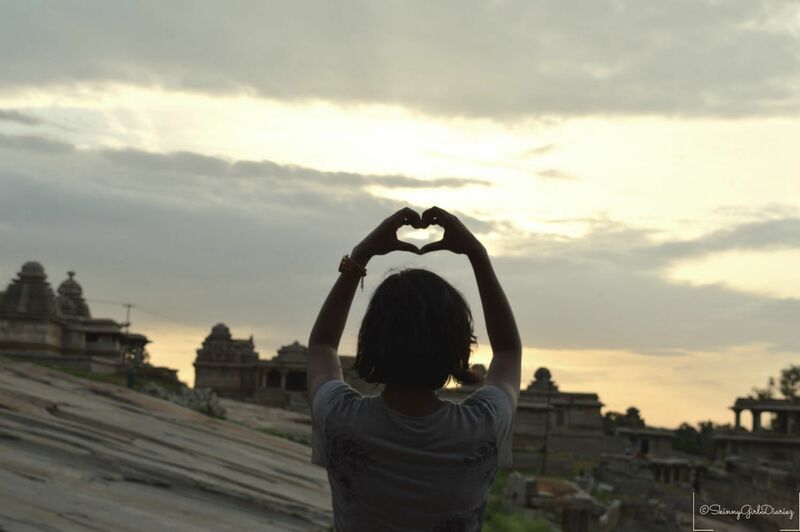 There is so much to Hampi than meets the eye. Evolve Back Luxury Resorts, have split the sight seeing into four trails ( 2 per day). This allows for ease and comfort and you get to enjoy the trails without getting exhausted. I was at luck to see and appreciate the mystery behind this once triumphant city. Before I start of with the Trails, I wanted to share a bit of history of Hampi. Although most parts during school I hit the snooze mode. Going on these trails was a refresher. And thanks to the wonderful guide Bhanu at the Evolve Back Luxury Resorts. Hope I have done justice with this blog. Hampi is steeped in myth and spirituality. The once magnificent capital ruled by Vijayanagara Empire, was the last Hindu Kingdom. Now this ancient city echos a glorious past of how sophisticated it was. From its memorial structures, temples, pillared halls to the sacred shrines. It is now recognized as a UNESCO World Heritage Site. Now before I share more about the trails, here is a bit of history of the Vijayanagara Empire. Way back towards 14th century, two brother’s Harihara and Bukka, changed not only theirs but the destiny of Hampi. Today is it infamous all over the world, and the ruins around the city are reminiscent of this legendary city. The two brother’s were hunting with their dogs in the nearby hills and found a hare they had chased. With twist of fate, the hare chased the dogs. Guru Vidyaranya, was informed of this incident and later advised the two brothers to establish their kingdom in this capital as it was very sacred. Bukka is the brain child behind the finest irrigation and water supply system there is, and majority is still in use today. Over the next 300 years, history has it that there were 23 kings and about 4 dynasties (Sangama, Saluva, Tuluva and Aravidu dynasty ) that ruled. Krishnadeva Raya being the most acclaimed monarch of the Tuluva dynasty. The city lost the battle of Talikota, leading to mass pillaging in Hampi. Lord Shiva, impressed with her devotion and dedication agreed to marry her. He took on the name Pampapati (husband of Pampa). Hemakuta means ‘heap of gold’ in sanskrit. During their wedding, the heavens opened up and showered this place with gold. The place where they married is today called “Virupaksha Temple.” Even today, during sunset, the temple glows like gold. There is no filter needed for those clicking images. Just splendid. To get to the Virupaksha temple, we need to walk through and up the boulders of the Hemakuta hill. Just below the foot of the hills is the start of the trail. There is a map that lists the routes and key areas to visit. As we enter the route, you get to see a monolithic statue called Sadivekalu Ganesha. Sasivekalu means mustard, the entire 8 foot structure has a more mustard colour look, hence the name. Legend has it that Ganesha loved to eat and as his belly grew he tightened a snake around his waist. The idol was damaged during the war and his trunk has been cut off. The invaders had chopped off the trunks of all the idols in the city. A damaged idol is never worshiped. If you go around these pillars you can notice that Ganesha is sitting on the lap of his mother. The walk up hill is breathtaking, as you can see. It was almost time for sunset. Once you reach the top of the hill, you get an ariel view of Hampi and there are a large number of temples, archways and pavilions. Another famous temple called the Moola Virupaksha Temple, sits on top of this hill and has a pond that surrounds it, it was surrounded by monkeys taking a dive. It was fun watching them shove each other into the water. The Virupaksha Temple is visible from all the sides. The temperature did dip a bit, and was really windy. To get here, we walk down from Hemakuta hill, on the opposite side from where we started. This takes us into the scared center. Just like that I was mesmerized more so with the carvings on the temple walls. A bit too graphic for me to explain. The temple is carved out of one stone can you imagine that! This is a definite highlight of the tour and I can see why. Pilgrims flock here to offer prayers. It is a fully functional temple. Weddings take place here too. I couldn’t go inside to see more, as it was a massive celebration of sorts that day with the festivities in all its pomp and glory. But I did manage to see a bit of the temple. Just could not take pictures as was way to crowded and a procession moved around. According to legend, Narasimha is the 4th incarnation of Lord Vishnu out of the 10. This is the largest known statue in Hampi. Narasimha means half man and half lion. As you observe the statue you can see a seven headed snake above Narasimha’s head, and he seems to be sitting on the coil of it. He is sitting in a yoga position and has a belt wrapped around his knees for support. It is believed the side of Narasimha sat Goddess Lakshmi. However, during the raid of the kingdom. This was severely damaged. Only her hand is visible behind his back. You can reach this spot via the main road from the Hampi Bazar coming out of the Virupaksha Temple. Right next to it is the Badavilinga Temple, I managed to see this temple too. It was getting pretty dark as the sun already seemed to have set. There were no street lights so failed to get a good image. With Day 1 come to a close, I was all geared up to see what more this beautiful city had to offer. For now it was back to the lovely Evolve Back Luxury Resorts to unwind and relax. Interesting pictures and write up.